PPT 4 concepts text link boxes powerpoint 2007 an arrow Templates-With these pre-designed process arrows you can visualize almost any type of concept, chronological process or steps of your strategies..-PPT 4 concepts text link boxes powerpoint 2007 an arrow Templates-3d, Abstract, Around, Arrows, Blue, Border, Business, Center, Circle, Circular, Concept, Connections, Copy, Curve, Cycle, Directions, Distribution, Illustration, Management, Middle, Objects, Pieces, Plan, Pointing, Process, Recycle, Rounded, Shadows, Space, System Experience the aesthetics of our Ppt 4 Concepts Text Link Boxes PowerPoint 2007 An Arrow Templates. They are created with brilliant design sense. Our Ppt 4 Concepts Text Link Boxes PowerPoint 2007 An Arrow Templates have fantastic ability. They will have an astounding effect on the audience. PPT illustration of concept free download concepts PowerPoint Templates-Use this Diagram to display the data. It makes easier for the analysts to visualize and interpret the data-PPT illustration of concept free download concepts PowerPoint Templates-3d, Abstract, Around, Arrows, Blue, Border, Business, Center, Circle, Circular, Concept, Connections, Copy, Curve, Cycle, Directions, Distribution, Illustration, Management, Middle, Objects, Pieces, Plan, Pointing, Process, Recycle, Rounded, Shadows, Space, System Our Ppt Illustration Of Concept Free Download Concepts PowerPoint Templates are eclectic by nature. They are acceptable to different cultures. Learning from failures leads to success. Assimilate the lessons with our Ppt Illustration Of Concept Free Download Concepts PowerPoint Templates. We present our 3d curved arrows linearly placed online flow chart creator PowerPoint Slides. Use our Marketing PowerPoint Templates because; Use our templates to illustrate your ability. Use our Shapes PowerPoint Templates because, to take it along a sure fire road to good profit. Use our Business PowerPoint Templates because, you have good reasons to back up the strength of your belief. Use our Process and Flows PowerPoint Templates because, you have a great plan to put the pieces together, getting all the various contributors to gel for a successful completion. 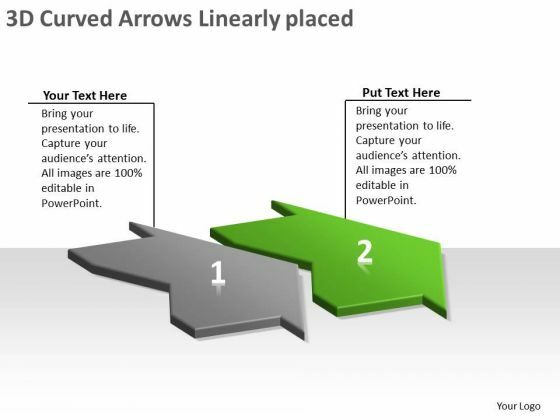 Use our Arrows PowerPoint Templates because, Readymade PowerPoint templates for slides to show. Use these PowerPoint slides for presentations relating to 3d, abstract, around, arrows, blue, border, business, center, circle, circular, concept, connections, copy, curve, cycle, directions, distribution, illustration, management, middle, objects, pieces, plan, pointing, process, recycle, rounded, shadows, space, system. The prominent colors used in the PowerPoint template are Yellow, Gray, and White Advertise your product with our 3d Curved Arrows Linearly Placed Online Flow Chart Creator PowerPoint Slides. Just download, type and present. Get the dynamics correct with our PT&s. Your thoughts will initiate the right moves. We present our constant representation of 6 stages using arrows flowchart PowerPoint freeware templates.Use our Arrows PowerPoint Templates because,you can Show them how you can save the day. Use our Marketing PowerPoint Templates because,All elements of the venture are equally critical. Use our Success PowerPoint Templates because, You understand the ailment and how to fight it. Use our Design PowerPoint Templates because,If making a mark is your obsession, then let others get Obsessed with you. Use our Process and Flows PowerPoint Templates because,The vision of being the market leader is clear to you.Use these PowerPoint slides for presentations relating to 3d, Abstract, Around, Arrows, Blue, Border, Business, Center, Circle, Circular, Concept, Connections, Copy, Curve, Cycle, Directions, Distribution, Illustration, Management, Middle, Objects, Pieces, Plan, Pointing, Process, Recycle, Rounded, Shadows, Space, System. The prominent colors used in the PowerPoint template are Yellow, Green, Blue Make an exhibition characteristic of you. 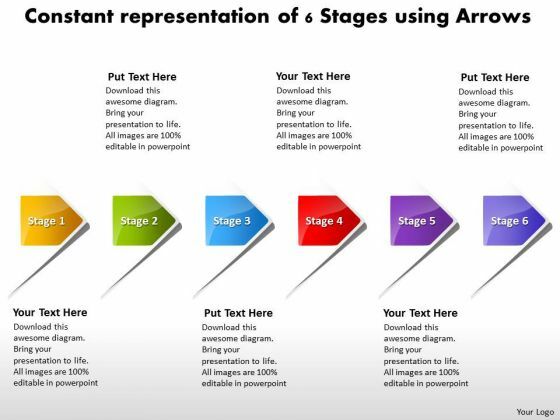 Display your effectiveness on our Constant Representation Of 6 Stages Using Arrows Flowchart PowerPoint Freeware Templates. 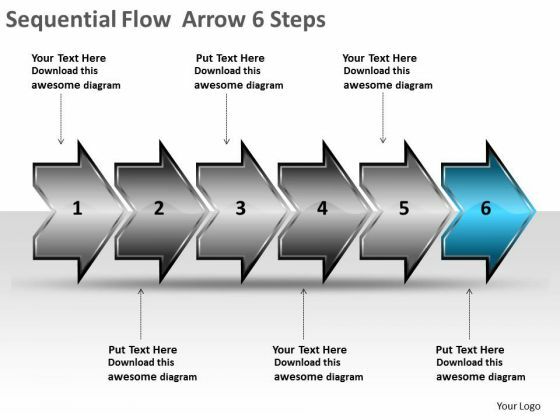 Achieve high-growth with our Constant Representation Of 6 Stages Using Arrows Flowchart PowerPoint Freeware Templates. They will make you look good. 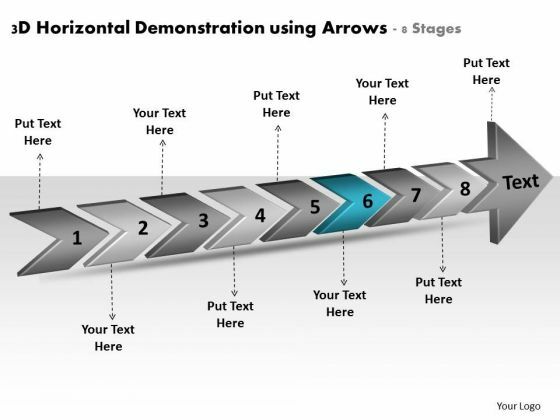 We present our regular demonstration using horizontal arrows 12 stages prototyping business PowerPoint Slides.Use our Arrows PowerPoint Templates because, You understand the ailment and how to fight it. Use our Business PowerPoint Templates because,Watch the excitement levels rise as they realise their worth. Use our Leadership PowerPoint Templates because,This diagram can be used to illustrate the logical path or system Use our Shapes PowerPoint Templates because,you have an idea of which you are sure. Use our Process and Flows PowerPoint Templates because,You can Explore the various hues and layers existing in your in your plans and processes using this slide.Use these PowerPoint slides for presentations relating to 3d, abstract, around, arrows, blue, border, business, center, circle, circular, concept, connections, copy, curve, cycle, directions, distribution, illustration, management, middle, objects, pieces, plan, pointing, process, recycle, rounded, shadows, space, system. The prominent colors used in the PowerPoint template are Red, Gray, Black Become an oracle with our Regular Demonstration Using Horizontal Arrows 12 Stages Prototyping Business PowerPoint Slides. You will come out on top. 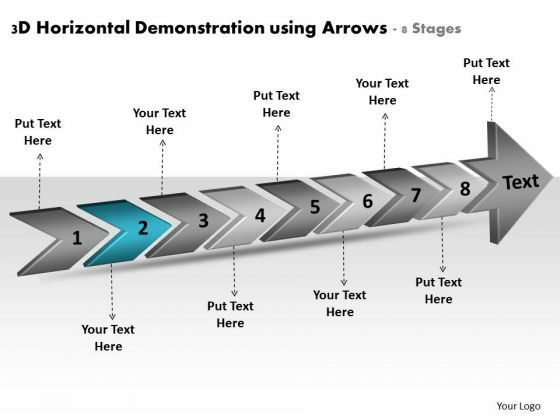 Observe growth with our Regular Demonstration Using Horizontal Arrows 12 Stages Prototyping Business PowerPoint Slides. Download without worries with our money back guaranteee. We present our regular demonstration using horizontal arrows 12 stages planning flow chart PowerPoint Slides.Use our Arrows PowerPoint Templates because, Spreading the light of knowledge around you will clear the doubts and enlighten the questioning minds with your brilliance and ability. Use our Business PowerPoint Templates because,To achieve sureshot success you need to come together at the right time, place and manner. Use our Leadership PowerPoint Templates because, You can Be the cynosure of all eyes with our template depicting . Use our Shapes PowerPoint Templates because, you can Ring them out loud with your brilliant ideas. Use our Process and Flows PowerPoint Templates because,Educate your staff on the means to provide the required support for speedy recovery.Use these PowerPoint slides for presentations relating to 3d, abstract, around, arrows, blue, border, business, center, circle, circular, concept, connections, copy, curve, cycle, directions, distribution, illustration, management, middle, objects, pieces, plan, pointing, process, recycle, rounded, shadows, space, system. The prominent colors used in the PowerPoint template are Red, Gray, Black Accept accolades with our Regular Demonstration Using Horizontal Arrows 12 Stages Planning Flow Chart PowerPoint Slides. You will come out on top. Get a blue-chip client list with your ideas. Attract the best customers with our Regular Demonstration Using Horizontal Arrows 12 Stages Planning Flow Chart PowerPoint Slides. We present our steps to create business powerpoint presentation process flowchart Slides.Present our Arrows PowerPoint Templates because this template helps you to put your finger on the pulse of your business and sense the need to re-align a bit. Use our Marketing PowerPoint Templates because it helps you to display your ideas and thoughts. Use our Success PowerPoint Templates because this slide Probe the minds of your colleagues, see their faces light up as they assimilate and understand the value of your suggestions. Present our Process and Flows PowerPoint Templates because there are different paths to gain the necessary knowledge to acheive it. Use our Business PowerPoint Templates because this template can project the path to sucess that you have charted.Use these PowerPoint slides for presentations relating to Abstract, Around, Arrows, Blue, Border, Business, Center, Circle, Circular, Concept, Connections, Copy, Curve, Cycle, Directions, Distribution, Illustration, Management, Middle, Objects, Pieces, Plan, Pointing, Process, Recycle, Rounded, Shadows, Space, System. The prominent colors used in the PowerPoint template are Red, Blue, Green. 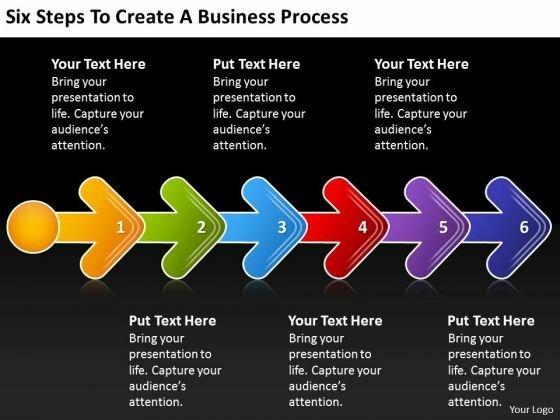 Customers tell us our steps to create business powerpoint presentation process flowchart Slides have awesome images to get your point across. The feedback we get is that our Arrows PowerPoint templates and PPT Slides are Stylish. Professionals tell us our steps to create business powerpoint presentation process flowchart Slides are Ritzy. People tell us our Center PowerPoint templates and PPT Slides are Swanky. 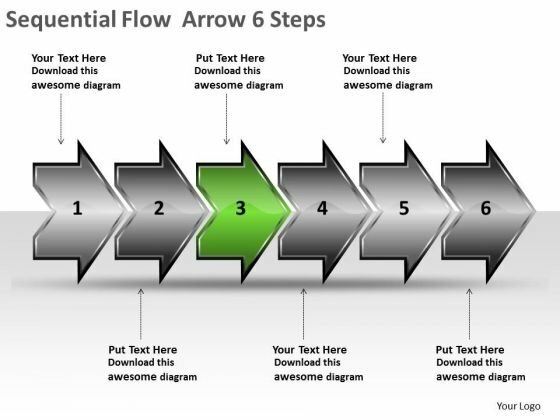 Customers tell us our steps to create business powerpoint presentation process flowchart Slides are Handsome. Professionals tell us our Business PowerPoint templates and PPT Slides are Colorful. You have envisaged a bright future for your organisation. Deliver your forecast on our Steps To Create Business PowerPoint Presentation Process Flowchart Slides. Articulate your answers with our Steps To Create Business PowerPoint Presentation Process Flowchart Slides. They provide a befitting backdrop. We present our demonstration of purchasing process flows arrow flowcharts PowerPoint templates.Download and present our Business PowerPoint Templates because you can see clearly through to the bigger bowl ahead. Time your jump to perfection and hit the nail on the head. Present our Shapes PowerPoint Templates because you are also known to be one always searching for the light of truth. Use our Process and Flows PowerPoint Templates because it describes the benefits of healthy food habits and lifestyles in respect of vital organs of the human anatomy. Use our Flow charts PowerPoint Templates because they are the tools that helped most of us evolve. Present our Arrows PowerPoint Templates because you have the ability to think out of the box. It helps you maintain your unique identity.Use these PowerPoint slides for presentations relating to 3d, Abstract, Around, Arrows, Business, Center, Circle, Circular, Concept, Connections, Curve, Cycle, Directions, Distribution, Illustration, Management, Middle, Objects, Plan, Process, Recycle, Rounded, Shadows, Space, System. The prominent colors used in the PowerPoint template are Blue, Gray, Black. Use our demonstration of purchasing process flows arrow flowcharts PowerPoint templates are Magnificent. Presenters tell us our Arrows PowerPoint templates and PPT Slides are Wistful. Presenters tell us our demonstration of purchasing process flows arrow flowcharts PowerPoint templates are Charming. You can be sure our Concept PowerPoint templates and PPT Slides are Fashionable. PowerPoint presentation experts tell us our demonstration of purchasing process flows arrow flowcharts PowerPoint templates are Elegant. Professionals tell us our Around PowerPoint templates and PPT Slides are aesthetically designed to attract attention. We guarantee that they will grab all the eyeballs you need. Achieve strategic & tactical operations with our Demonstration Of Purchasing Process Flows Arrow Flowcharts PowerPoint Templates. They will make you look good. 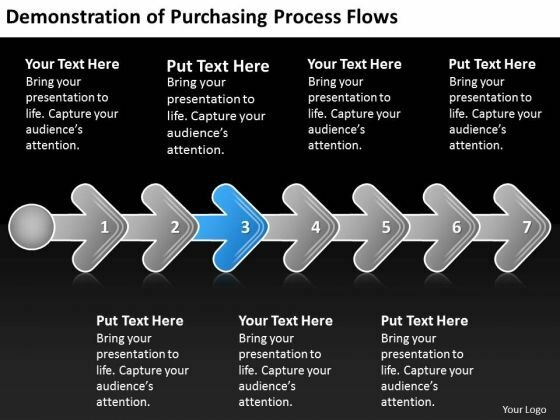 Keep them attentive with our Demonstration Of Purchasing Process Flows Arrow Flowcharts PowerPoint Templates. Ensure your ideas are easilyabsorbed. We present our business powerpoint examples presentation templates PPT backgrounds for slide.Download our Advertising PowerPoint Templates because Our PowerPoint Templates and Slides are created by a hardworking bunch of busybees. Always flitting around with solutions gauranteed to please. Present our Construction PowerPoint Templates because Our PowerPoint Templates and Slides will provide weight to your words. They will bring out the depth of your thought process. Present our Puzzles or Jigsaws PowerPoint Templates because you can Set pulses racing with our PowerPoint Templates and Slides. They will raise the expectations of your team. Use our Success PowerPoint Templates because Our PowerPoint Templates and Slides will provide the perfect balance. Your weighty ideas will get the ideal impetus. Present our Symbol PowerPoint Templates because Our PowerPoint Templates and Slides will provide you the cutting edge. Slice through the doubts in the minds of your listeners.Use these PowerPoint slides for presentations relating to 3d, Anonymous, Assemble, Blue, Business, Cartoon, Chain, Challenge, Character, Collaboration, Complete, Concept, Cooperate, Cooperation, Coordination, Decision, Different, Fix, Fusion, Gradient, Human, Icon, Illustration, Incomplete, Isolated, Jigsaw, Leisure, Man, Move, Orientation, Part, Partnership, Piece, Plan, Problem, Push, Puzzle, Red, Reflection, Shadows, Solution, Solve, Success, Symbol, Team, Teamwork, Three. The prominent colors used in the PowerPoint template are Red, Gray, Black. We assure you our business powerpoint examples presentation templates PPT backgrounds for slide are designed by a team of presentation professionals. Use our Challenge PowerPoint templates and PPT Slides will get their audience's attention. We assure you our business powerpoint examples presentation templates PPT backgrounds for slide are designed by professionals Professionals tell us our Assemble PowerPoint templates and PPT Slides are designed by professionals The feedback we get is that our business powerpoint examples presentation templates PPT backgrounds for slide are second to none. You can be sure our Cartoon PowerPoint templates and PPT Slides are aesthetically designed to attract attention. We guarantee that they will grab all the eyeballs you need. Make use of our gigantic collection with our Business PowerPoint Examples Presentation Templates Ppt Backgrounds For Slide. Dont waste time struggling with PowerPoint. Let us do it for you. No matter how far flung your clientele is. Connect with them all through our Business PowerPoint Examples Presentation Templates Ppt Backgrounds For Slide. We present our business powerpoint examples presentation templates PPT backgrounds for slides.Present our Success PowerPoint Templates because Our PowerPoint Templates and Slides will definately Enhance the stature of your presentation. Adorn the beauty of your thoughts with their colourful backgrounds. Download and present our Symbol PowerPoint Templates because Our PowerPoint Templates and Slides will let your team Walk through your plans. See their energy levels rise as you show them the way. Use our Puzzles or Jigsaws PowerPoint Templates because Our PowerPoint Templates and Slides will let your team Walk through your plans. See their energy levels rise as you show them the way. Use our Business PowerPoint Templates because Our PowerPoint Templates and Slides will provide weight to your words. They will bring out the depth of your thought process. Use our Shapes PowerPoint Templates because Our PowerPoint Templates and Slides ensures Effective communication. They help you put across your views with precision and clarity.Use these PowerPoint slides for presentations relating to 3d, Anonymous, Assemble, Blue, Business, Cartoon, Chain, Challenge, Character, Collaboration, Complete, Concept, Cooperate, Cooperation, Coordination, Decision, Different, Fix, Fusion, Gradient, Human, Icon, Illustration, Incomplete, Isolated, Jigsaw, Leisure, Man, Move, Orientation, Part, Partnership, Piece, Plan, Problem, Push, Puzzle, Red, Reflection, Shadows, Solution, Solve, Success, Symbol, Team, Teamwork, Two. The prominent colors used in the PowerPoint template are Green, White, Gray. We assure you our business powerpoint examples presentation templates PPT backgrounds for slides are effectively colour coded to prioritise your plans They automatically highlight the sequence of events you desire. Use our Challenge PowerPoint templates and PPT Slides look good visually. We assure you our business powerpoint examples presentation templates PPT backgrounds for slides are aesthetically designed to attract attention. We guarantee that they will grab all the eyeballs you need. Professionals tell us our Cartoon PowerPoint templates and PPT Slides look good visually. The feedback we get is that our business powerpoint examples presentation templates PPT backgrounds for slides will help them to explain complicated concepts. You can be sure our Assemble PowerPoint templates and PPT Slides effectively help you save your valuable time. Cater for diverse education with our Business PowerPoint Examples Presentation Templates Ppt Backgrounds For Slides. Bring out the best in every child. Aim for the skies with our Business PowerPoint Examples Presentation Templates Ppt Backgrounds For Slides. You will come out on top. 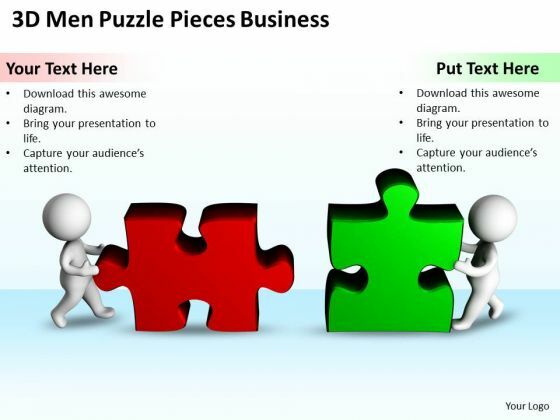 We present our business diagrams templates puzzle pieces new powerpoint presentation Slides.Download our Puzzles or Jigsaws PowerPoint Templates because You can Connect the dots. Fan expectations as the whole picture emerges. Download and present our Business PowerPoint Templates because It will get your audience in sync. Present our People PowerPoint Templates because Our PowerPoint Templates and Slides will weave a web of your great ideas. They are gauranteed to attract even the most critical of your colleagues. Download our Leadership PowerPoint Templates because It will Raise the bar of your Thoughts. They are programmed to take you to the next level. Present our Success PowerPoint Templates because Our PowerPoint Templates and Slides are Clear and concise. Use them and dispel any doubts your team may have.Use these PowerPoint slides for presentations relating to 3d, anonymous, assemble, blue, business, cartoon, chain, challenge, character, collaboration, complete, concept, cooperate, cooperation, coordination, decision, different, fix, fusion, gradient, human, icon, illustration, incomplete, isolated, jigsaw, leisure, man, move, orientation, part, partnership, piece, plan, problem, push, puzzle, red, reflection, shadows, solution, solve, success, symbol, team, teamwork, two, union, white, work. The prominent colors used in the PowerPoint template are Green, Red, White. Professionals tell us our business diagrams templates puzzle pieces new powerpoint presentation Slides will help you be quick off the draw. Just enter your specific text and see your points hit home. Use our chain PowerPoint templates and PPT Slides will get their audience's attention. Use our business diagrams templates puzzle pieces new powerpoint presentation Slides effectively help you save your valuable time. 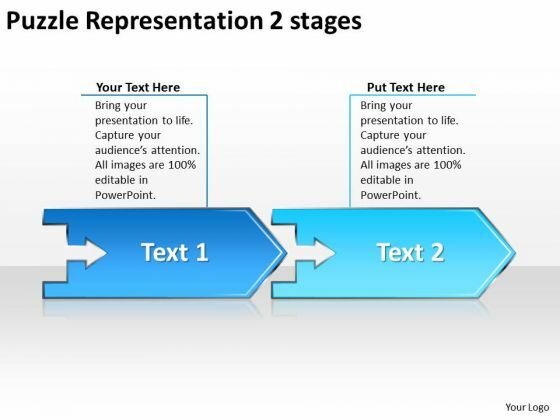 Customers tell us our blue PowerPoint templates and PPT Slides will save the presenter time. Presenters tell us our business diagrams templates puzzle pieces new powerpoint presentation Slides provide great value for your money. Be assured of finding the best projection to highlight your words. People tell us our assemble PowerPoint templates and PPT Slides will get their audience's attention. Our Business Diagrams Templates Puzzle Pieces New PowerPoint Presentation Slides come in various categories. There are many befitting all classes. Enhance connectivity with our Business Diagrams Templates Puzzle Pieces New PowerPoint Presentation Slides. They will always keep you in touch. We present our business workflow diagram 3d man on target marketing PowerPoint Slides.Download our Business PowerPoint Templates because You can Hit a home run with our PowerPoint Templates and Slides. See your ideas sail into the minds of your audience. Use our Competition PowerPoint Templates because Our PowerPoint Templates and Slides has conjured up a web of all you need with the help of our great team. Use them to string together your glistening ideas. Present our Targets PowerPoint Templates because Our PowerPoint Templates and Slides are the chords of your song. String them along and provide the lilt to your views. Use our People PowerPoint Templates because Our PowerPoint Templates and Slides are innately eco-friendly. Their high recall value negate the need for paper handouts. Use our Success PowerPoint Templates because Our PowerPoint Templates and Slides are topically designed to provide an attractive backdrop to any subject.Use these PowerPoint slides for presentations relating to 3d, accurate, anonymous, background, business, career, cartoon, center, challenge, circle, coaching, competition, dartboard, direct, direction, game, gesture, goal, good, gradient, hard, hit, isolated, job, luck, man, marketing, object, objectives, perfection, performance, posture, reach, red, reflection, ring, round, score, shadows, standing, strategy, success, symbol, target, well, white, win, wishes, work. The prominent colors used in the PowerPoint template are Red, Gray, White. Professionals tell us our business workflow diagram 3d man on target marketing PowerPoint Slides are designed to make your presentations professional. Use our career PowerPoint templates and PPT Slides are designed by a team of presentation professionals. Use our business workflow diagram 3d man on target marketing PowerPoint Slides provide you with a vast range of viable options. Select the appropriate ones and just fill in your text. Customers tell us our anonymous PowerPoint templates and PPT Slides are aesthetically designed to attract attention. We guarantee that they will grab all the eyeballs you need. Presenters tell us our business workflow diagram 3d man on target marketing PowerPoint Slides effectively help you save your valuable time. People tell us our center PowerPoint templates and PPT Slides are specially created by a professional team with vast experience. They diligently strive to come up with the right vehicle for your brilliant Ideas. 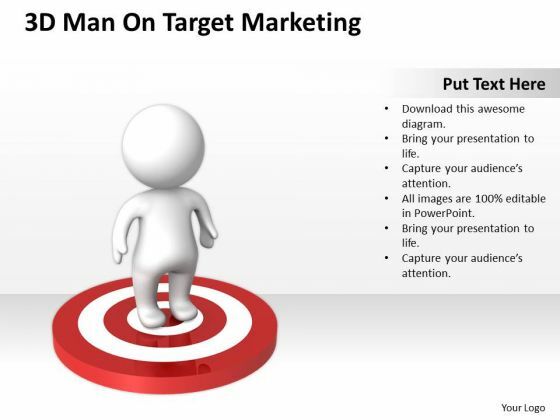 Feed off the brilliance of our Business Workflow Diagram 3d Man On Target Marketing PowerPoint Slides. Satiate minds with your ideas. Some processes are difficult to fathom. Explain these aspects with our Business Workflow Diagram 3d Man On Target Marketing PowerPoint Slides. We present our sample business organizational chart saving concept PowerPoint templates PPT backgrounds for slides.Download our People PowerPoint Templates because Our PowerPoint Templates and Slides are focused like a searchlight beam. They highlight your ideas for your target audience. Download and present our Finance PowerPoint Templates because It can Conjure up grand ideas with our magical PowerPoint Templates and Slides. Leave everyone awestruck by the end of your presentation. Present our Business PowerPoint Templates because Our PowerPoint Templates and Slides will embellish your thoughts. See them provide the desired motivation to your team. 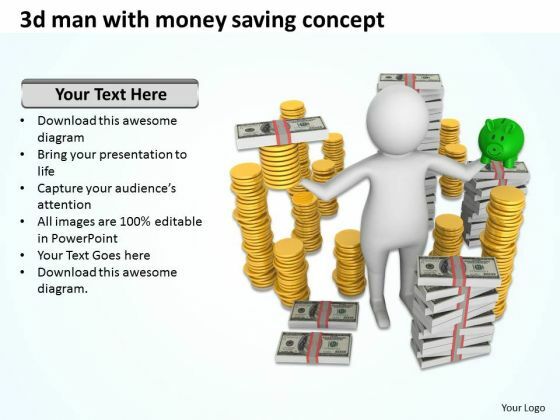 Download and present our Money PowerPoint Templates because You should Bet on your luck with our PowerPoint Templates and Slides. Be assured that you will hit the jackpot. Present our Success PowerPoint Templates because Our PowerPoint Templates and Slides will fulfill your every need. Use them and effectively satisfy the desires of your audience.Use these PowerPoint slides for presentations relating to 3d, Anonymous, Business, Capital, Cartoon, Cash, Coin, Concept, Control, Currency, Dollar, Faceless, Falling, Finance, Flying, Generic, Gesture, Gradient, Hundred, Icon, Idea, Illustration, Investment, Isolated, Loser, Lottery, Making, Man, Money, Paper, Posture, Prosperity, Risk, Savings, Shadows, Shopping, Success, Symbol, Universal, Unlucky. 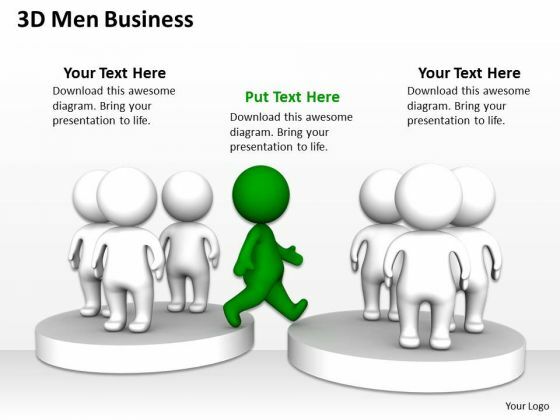 The prominent colors used in the PowerPoint template are Yellow, Green, White. PowerPoint presentation experts tell us our sample business organizational chart saving concept PowerPoint templates PPT backgrounds for slides are designed by a team of presentation professionals. Professionals tell us our Cash PowerPoint templates and PPT Slides help you meet deadlines which are an element of today's workplace. Just browse and pick the slides that appeal to your intuitive senses. People tell us our sample business organizational chart saving concept PowerPoint templates PPT backgrounds for slides are incredible easy to use. Presenters tell us our Cartoon PowerPoint templates and PPT Slides are effectively colour coded to prioritise your plans They automatically highlight the sequence of events you desire. Professionals tell us our sample business organizational chart saving concept PowerPoint templates PPT backgrounds for slides will impress their bosses and teams. We assure you our Concept PowerPoint templates and PPT Slides will make you look like a winner. Enthuse your audience with our Sample Business Organizational Chart Saving Concept PowerPoint Templates Ppt Backgrounds For Slides. You will come out on top. With our Sample Business Organizational Chart Saving Concept PowerPoint Templates Ppt Backgrounds For Slides you will never falter. Your thoughts will move ahead sure-footedly. We present our business processes for certain time PowerPoint templates backgrounds slides.Present our Business PowerPoint Templates because You aspire to touch the sky with glory. Let our PowerPoint Templates and Slides provide the fuel for your ascent. Download and present our Process and Flows PowerPoint Templates because Our PowerPoint Templates and Slides provide you with a vast range of viable options. Select the appropriate ones and just fill in your text. Use our Shapes PowerPoint Templates because They will bring a lot to the table. Their alluring flavours will make your audience salivate. Use our Flow Charts PowerPoint Templates because They will Put the wind in your sails. Skim smoothly over the choppy waters of the market. Download our Arrows PowerPoint Templates because Our PowerPoint Templates and Slides will help you be quick off the draw. Just enter your specific text and see your points hit home.Use these PowerPoint slides for presentations relating to Abstract, arrows, artistic, background, blue, business, color, competition, creative, creativity, curves, curvy, design, digital, direction, graphic, icons, illustration, modern, pointers, red, reflecting, shadows, shape, signs, style, symbols, tech, technology, wallpaper, web, white. The prominent colors used in the PowerPoint template are Blue, Green, White. Get it right each and every time. Our Business Processes For Certain Time PowerPoint Templates Backgrounds Slides have a great record of hits. Trim the fat with our Business Processes For Certain Time PowerPoint Templates Backgrounds Slides. Get right down to the meat of the matter. 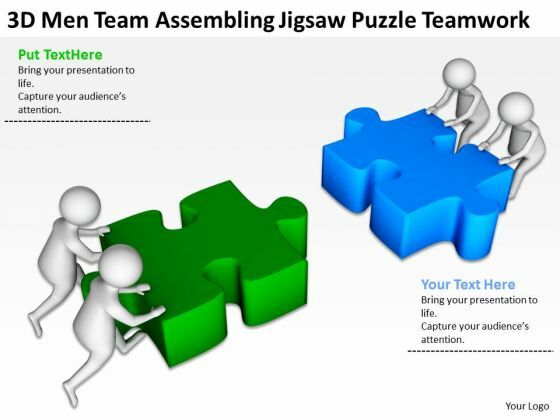 We present our business people assembling jigsaw puzzle teamwork PowerPoint templates PPT backgrounds for slides.Use our Puzzles or Jigsaws PowerPoint Templates because Our PowerPoint Templates and Slides come in all colours, shades and hues. They help highlight every nuance of your views. Download and present our People PowerPoint Templates because It will Raise the bar of your Thoughts. They are programmed to take you to the next level. Download and present our Teamwork PowerPoint Templates because These PowerPoint Templates and Slides will give the updraft to your ideas. See them soar to great heights with ease. Use our Shapes PowerPoint Templates because Our PowerPoint Templates and Slides are conceived by a dedicated team. Use them and give form to your wondrous ideas. Download our Success PowerPoint Templates because Our PowerPoint Templates and Slides will bullet point your ideas. See them fall into place one by one.Use these PowerPoint slides for presentations relating to 3d, anonymous, assemble, blue, business, chain, challenge, character,collaboration, complete, concept, cooperate, cooperation, coordination, decision,different, fix, fusion, green, human, icon, illustration, incomplete, isolated,jigsaw, leisure, man, move, orientation, part, partnership, piece, plan, problem,push, puzzle, reflection, shadows, solution, solve, success, symbol, team, teamwork, two, union, work. The prominent colors used in the PowerPoint template are Blue, Green, Black. 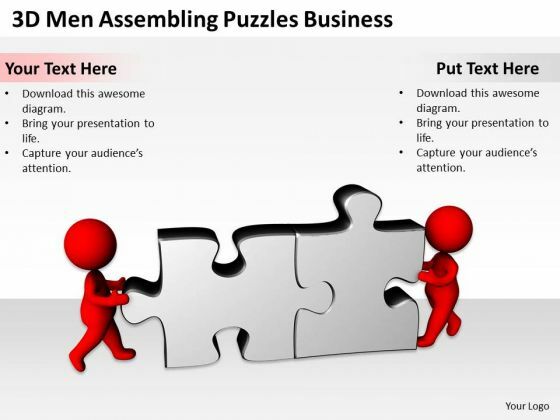 Lay the bait with our Business People Assembling Jigsaw Puzzle Teamwork PowerPoint Templates Ppt Backgrounds For Slides. Get them hooked onto your ideas. Our content is special. 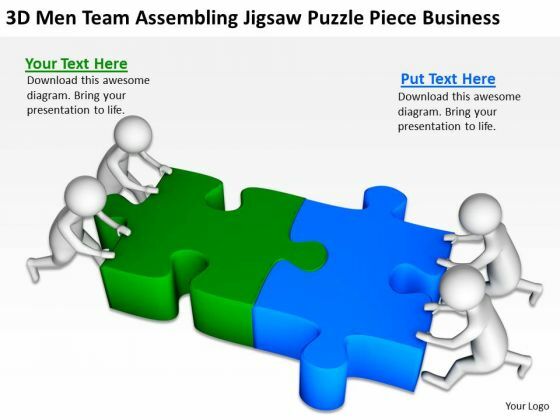 Join the revolution with our Business People Assembling Jigsaw Puzzle Teamwork PowerPoint Templates Ppt Backgrounds For Slides. You'll always stay ahead of the game. We present our business people powerpoint presentations templates PPT backgrounds for slides.Download and present our People PowerPoint Templates because Our PowerPoint Templates and Slides are created by a hardworking bunch of busybees. Always flitting around with solutions gauranteed to please. Download and present our Business PowerPoint Templates because It will Strengthen your hand with your thoughts. They have all the aces you need to win the day. Download and present our Puzzles or Jigsaws PowerPoint Templates because You canTake a leap off the starting blocks with our PowerPoint Templates and Slides. They will put you ahead of the competition in quick time. Download and present our Teamwork PowerPoint Templates because You canTake a leap off the starting blocks with our PowerPoint Templates and Slides. They will put you ahead of the competition in quick time. Download our Shapes PowerPoint Templates because Our PowerPoint Templates and Slides will provide you a launch platform. Give a lift off to your ideas and send them into orbit.Use these PowerPoint slides for presentations relating to 3d, anonymous, assemble, blue, business, cartoon, chain, challenge, character, complete, concept, cooperation, decision, fix, gradient, human, incomplete, isolated, jigsaw, man, move, part, partnership, piece, push, puzzle, blue, shadows, solution, success, teamwork, two, white, work. The prominent colors used in the PowerPoint template are Green, Blue, White. Lead with our Business People PowerPoint Presentations Templates Ppt Backgrounds For Slides. You will come out on top. Be a change agent with our Business People PowerPoint Presentations Templates Ppt Backgrounds For Slides. They will make you look good. "Microsoft PowerPoint Template and Background with a raster illustration of a planet or moon near a nebula with a black hole" Advise teams with our Black Hole Nebula Globe PowerPoint Templates And PowerPoint Backgrounds 0411. You will come out on top. Have some fun with our Black Hole Nebula Globe PowerPoint Templates And PowerPoint Backgrounds 0411. They make creating ideas enjoyable. 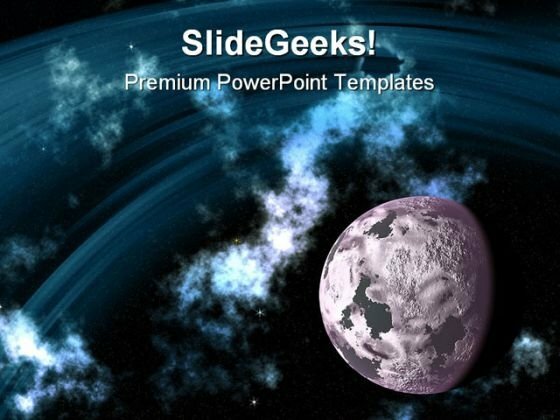 "Microsoft PowerPoint Theme and Slide with a raster illustration of a planet or moon near a nebula with a black hole" Our Black Hole Nebula Globe PowerPoint Themes And PowerPoint Slides 0411 are actually endearing. Their efforts to please are the best by far. Enliven the experience with our Black Hole Nebula Globe PowerPoint Themes And PowerPoint Slides 0411. Give more colour to your bright thoughts. PPT consecutive illustration of 4 concepts an arrow PowerPoint Templates-Use this Diagram to display the data. It make easier for the analysts to visualize and interpret the data-PPT consecutive illustration of 4 concepts an arrow PowerPoint Templates-3d, Abstract, Around, Arrows, Blue, Border, Business, Center, Circle, Circular, Concept, Connections, Copy, Curve, Cycle, Directions, Distribution, Illustration, Management, Middle, Objects, Pieces, Plan, Pointing, Process, Recycle, Rounded, Shadows, Space, System Our Ppt Consecutive Illustration Of 4 Concepts An Arrow PowerPoint Templates are designed for authenticity. They do not encourage any farce. Our Ppt Consecutive Illustration Of 4 Concepts An Arrow PowerPoint Templates are based on experience. They do not contain anything fanciful. PPT arrow illustration of 4 concepts PowerPoint Templates-Use this Diagram to display the data. It make easier for the analysts to visualize and interpret the data-PPT arrow illustration of 4 concepts PowerPoint Templates-3d, Abstract, Around, Arrows, Blue, Border, Business, Center, Circle, Circular, Concept, Connections, Copy, Curve, Cycle, Directions, Distribution, Illustration, Management, Middle, Objects, Pieces, Plan, Pointing, Process, Recycle, Rounded, Shadows, Space, System Hire teams with our Ppt Arrow Illustration Of 4 Concepts PowerPoint Templates. Download without worries with our money back guaranteee. You will rarely find fault with our Ppt Arrow Illustration Of 4 Concepts PowerPoint Templates. They are designed by a fastidious team. 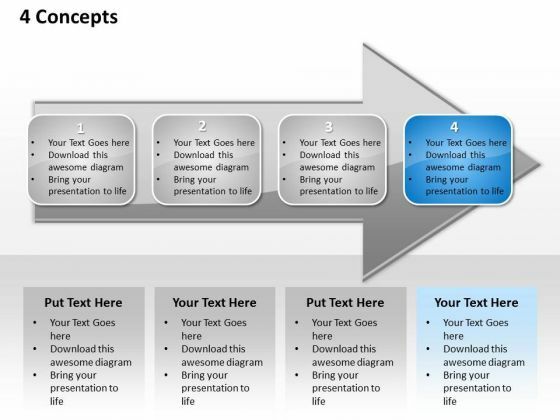 PPT consecutive mobile marketing powerpoint presentation steps an arrow Templates-Use this Diagram to display the data. It makes easier for the analysts to visualize and interpret the data-PPT consecutive mobile marketing powerpoint presentation steps an arrow Templates-3d, Abstract, Around, Arrows, Blue, Border, Business, Center, Circle, Circular, Concept, Connections, Copy, Curve, Cycle, Directions, Distribution, Illustration, Management, Middle, Objects, Pieces, Plan, Pointing, Process, Recycle, Rounded, Shadows, Space, System Distribute tasks with our Ppt Consecutive Mobile Marketing PowerPoint Presentation Steps An Arrow Templates. Download without worries with our money back guaranteee. Energize your team with our Ppt Consecutive Mobile Marketing PowerPoint Presentation Steps An Arrow Templates. Download without worries with our money back guaranteee. 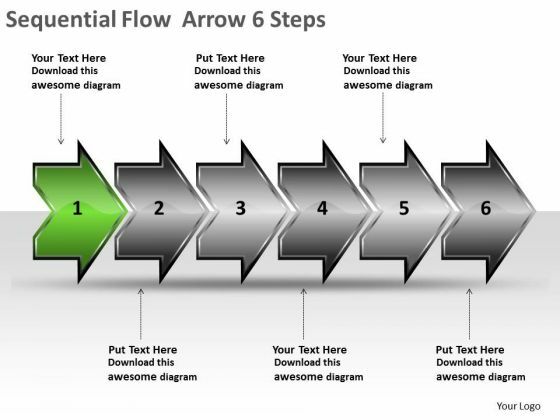 We present our arrow illustration 8 stages PowerPoint flow chart Slides. Use our Arrows PowerPoint Templates because; you have the moves to sway the market. Use our Marketing PowerPoint Templates because, the ideas and plans are on your fingertips. Use our Success PowerPoint Templates because, you have the people in place, selected the team leaders and all are raring to go. Use our Process and Flows PowerPoint Templates because, Our PowerPoint templates give this step by step process to achieved the aim. Use our Business PowerPoint Templates because, You have the process in your head, our template design showing will illuminate your thoughts. Use these PowerPoint slides for presentations relating to 3d, Abstract, Around, Arrows, Blue, Border, Business, Center, Circle, Circular, Concept, Connections, Copy, Curve, Cycle, Directions, Distribution, Illustration, Management, Middle, Objects, Pieces, Plan, Pointing, Process, Recycle, Rounded, Shadows, Space, System. The prominent colors used in the PowerPoint template are Purple, Blue, and Black Creat an attractive presentation with our Arrow Illustration 8 Stages PowerPoint Flow Chart Slides. Dont pass up this opportunity to shine. Diversify plans with our Arrow Illustration 8 Stages PowerPoint Flow Chart Slides. Download without worries with our money back guaranteee. We present our puzzle representation 2 stages open source flowchart PowerPoint Slides. Use our Arrows PowerPoint Templates because, you have the people in place, selected the team leaders and all are raring to go. Use our Marketing PowerPoint Templates because; Churn the wheels of the brains of your colleagues. Use our Success PowerPoint Templates because, A healthy is the essence of a sense of happiness. Use our Process and Flows PowerPoint Templates because, Clarity of thought has been the key to your growth. Use our Business PowerPoint Templates because, Marketing Strategy Business Template:- maximizing sales of your product is the intended destination. Use these PowerPoint slides for presentations relating to 3d, Abstract, Around, Arrows, Blue, Border, Business, Center, Circle, Circular, Concept, Connections, Copy, Curve, Cycle, Directions, Distribution, Illustration, Management, Middle, Objects, Pieces, Plan, Pointing, Process, Recycle, Rounded, Shadows, Space, System. The prominent colors used in the PowerPoint template are Blue light, Blue, Gray Dazzle the audience with your thoughts. Our Puzzle Representation 2 Stages Open Source Flowchart PowerPoint Slides will leave them wide-eyed. with our Puzzle Representation 2 Stages Open Source Flowchart PowerPoint Slides. Dont pass up this opportunity to shine. We present our sequential flow arrow 6 steps business process charts PowerPoint templates. Use our Arrows PowerPoint Templates because, Master them all and you have it made. Use our Marketing PowerPoint Templates because, guaranteed to focus the minds of your team. Use our Success PowerPoint Templates because; Get your listeners to put on their thinking caps. Use our Process and Flows PowerPoint Templates because, guaranteed to focus the minds of your team. Use our Business PowerPoint Templates because, to achieve sure shot success they need to come together at the right time, place and manner. Use these PowerPoint slides for presentations relating to 3d, Abstract, Around, Arrows, Blue, Border, Business, Center, Circle, Circular, Concept, Connections, Copy, Curve, Cycle, Directions, Distribution, Illustration, Management, Middle, Objects, Pieces, Plan, Pointing, Process, Recycle, Rounded, Shadows, Space, System. The prominent colors used in the PowerPoint template are Blue, Gray, and Black Our Sequential Flow Arrow 6 Steps Business Process Charts PowerPoint Templates are arguably exceptional. Your ideas will be hard to argue against. Stay calm and collected with our Sequential Flow Arrow 6 Steps Business Process Charts PowerPoint Templates. The audience will admire your cool. We present our sequential flow arrow 6 steps circuit simulation PowerPoint Slides. Use our Arrows PowerPoint Templates because, The Venn graphic comprising interlinking circles geometrically demonstrate how various functions operating independently, to a large extent, are essentially interdependent. Use our Marketing PowerPoint Templates because, Activities which in themselves have many inherent business opportunities. Use our Success PowerPoint Templates because; heighten the anticipation of your audience with this slide listing. Use our Process and Flows PowerPoint Templates because, now fire the arrows to emblazon the desired path by which you will achieve anticipated results. Use our Business PowerPoint Templates because; Show them how to churn out fresh ideas. Use these PowerPoint slides for presentations relating to 3d, Abstract, Around, Arrows, Blue, Border, Business, Center, Circle, Circular, Concept, Connections, Copy, Curve, Cycle, Directions, Distribution, Illustration, Management, Middle, Objects, Pieces, Plan, Pointing, Process, Recycle, Rounded, Shadows, Space, System. The prominent colors used in the PowerPoint template are Blue, Gray, and Black Present the facts with our Sequential Flow Arrow 6 Steps Circuit Simulation PowerPoint Slides. Just download, type and present. Our Sequential Flow Arrow 6 Steps Circuit Simulation PowerPoint Slides will benefit your Ideas. They will deliver better dividends. 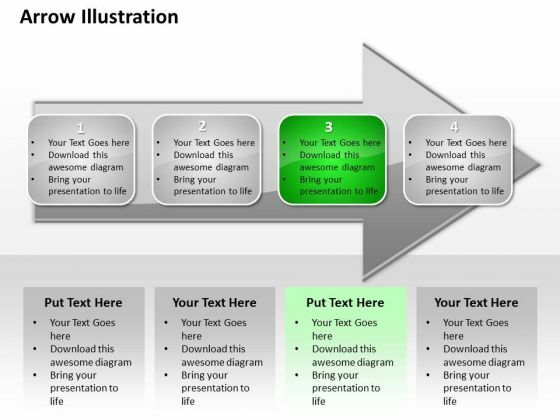 We present our sequential flow arrow 6 steps free chart maker PowerPoint templates. Use our Arrows PowerPoint Templates because, you have a great plan to put the pieces together, getting all the various contributors to gel for a successful completion. Use our Marketing PowerPoint Templates because, you have the basic goal in mind. Use our Success PowerPoint Templates because, are truly some of the wonders of our life. Use our Process and Flows PowerPoint Templates because, illustrate your ideas one by one and demonstrate how each is an important cog in running the entire wheel. Use our Business PowerPoint Templates because, Its also been said that prevention is better than cure, either way you have a store of knowledge for sure. Use these PowerPoint slides for presentations relating to 3d, Abstract, Around, Arrows, Blue, Border, Business, Center, Circle, Circular, Concept, Connections, Copy, Curve, Cycle, Directions, Distribution, Illustration, Management, Middle, Objects, Pieces, Plan, Pointing, Process, Recycle, Rounded, Shadows, Space, System. The prominent colors used in the PowerPoint template are Green, Gray, and Black Join the fight with our Sequential Flow Arrow 6 Steps Free Chart Maker PowerPoint Templates. They will be advantageous for your cause. Take your thoughts that extra mile. Express your dream with our Sequential Flow Arrow 6 Steps Free Chart Maker PowerPoint Templates. We present our sequential flow arrow 6 steps manufacturing process diagram PowerPoint templates. Use our Arrows PowerPoint Templates because; now funnel your marketing strategies down the cone, stage by stage, refining as you go along. Use our Marketing PowerPoint Templates because, Our Template designs are State of the Art. Use our Success PowerPoint Templates because; Get them in the desired sequence into the bracket. Use our Process and Flows PowerPoint Templates because, you have made significant headway in this field. Use our Business PowerPoint Templates because, you have understood the essence of this chain reaction like sequence of events. Use these PowerPoint slides for presentations relating to 3d, Abstract, Around, Arrows, Blue, Border, Business, Center, Circle, Circular, Concept, Connections, Copy, Curve, Cycle, Directions, Distribution, Illustration, Management, Middle, Objects, Pieces, Plan, Pointing, Process, Recycle, Rounded, Shadows, Space, System. The prominent colors used in the PowerPoint template are Blue, Gray, and Black Everyone can with our Sequential Flow Arrow 6 Steps Manufacturing Process Diagram PowerPoint Templates. They aim them in the correct direction. Provide insights with our Sequential Flow Arrow 6 Steps Manufacturing Process Diagram PowerPoint Templates. Download without worries with our money back guaranteee. We present our sequential flow arrow 6 steps ppt circuit simulation PowerPoint Slides. Use our Arrows PowerPoint Templates because; the ideas and plans are on your fingertips. Use our Marketing PowerPoint Templates because, Display your ideas and highlight their ability to accelerate the growth of your company and you. Use our Success PowerPoint Templates because; Refine them all as you take them through the numerous filtering stages of the funnel of your quality control process. Use our Process and Flows PowerPoint Templates because, Probe the minds of your colleagues, see their faces light up as they assimilate and understand the value of your suggestions. Use our Business PowerPoint Templates because, Marketing Strategy Business Template: - Maximizing sales of your product is the intended destination. Use these PowerPoint slides for presentations relating to 3d, Abstract, Around, Arrows, Blue, Border, Business, Center, Circle, Circular, Concept, Connections, Copy, Curve, Cycle, Directions, Distribution, Illustration, Management, Middle, Objects, Pieces, Plan, Pointing, Process, Recycle, Rounded, Shadows, Space, System. The prominent colors used in the PowerPoint template are Green, Gray, and Black Our Sequential Flow Arrow 6 Steps Ppt Circuit Simulation PowerPoint Slides adhere to the ethics. They comply with all the conditions. Develop their enthusiasm to explore new avenues. Activate their curiosity with our Sequential Flow Arrow 6 Steps Ppt Circuit Simulation PowerPoint Slides. 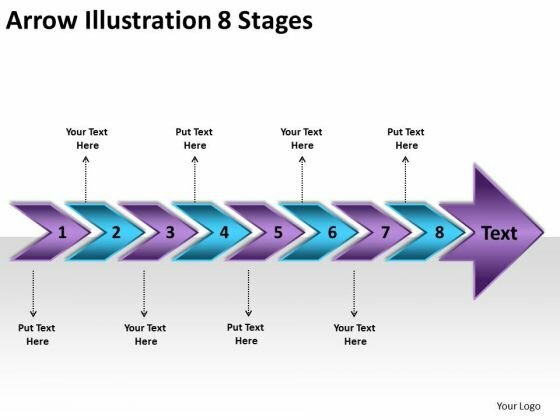 We present our sequential flow arrow 6 steps what is process chart PowerPoint templates. Use our Arrows PowerPoint Templates because; Help them align their arrows to consistently be accurate. Use our Marketing PowerPoint Templates because, Use this slide to detail and highlight your thought process, your views and your positive expectations. Use our Success PowerPoint Templates because, Goal Pie Chart Template: - You have a clear vision of the cake you want. Use our Process and Flows PowerPoint Templates because, the color coding of our templates are specifically designed to highlight you points. Use our Business PowerPoint Templates because, they help to lay the base of your trend of thought. Use these PowerPoint slides for presentations relating to 3d, Abstract, Around, Arrows, Blue, Border, Business, Center, Circle, Circular, Concept, Connections, Copy, Curve, Cycle, Directions, Distribution, Illustration, Management, Middle, Objects, Pieces, Plan, Pointing, Process, Recycle, Rounded, Shadows, Space, System. The prominent colors used in the PowerPoint template are Green, Gray, and Black Our Sequential Flow Arrow 6 Steps What Is Process Chart PowerPoint Templates ensure an admirable address. The audience won't be able to fault your ideas. Experience enlightenment with our Sequential Flow Arrow 6 Steps What Is Process Chart PowerPoint Templates. Accentuate the brightness of your ideas. We present our 3d curved arrows linearly placed creating flowcharts vision PowerPoint Slides. Use our Marketing PowerPoint Templates because, you have the moves to sway the market. Use our Shapes PowerPoint Templates because, Amplify on your views and plans for getting ahead and then the manner in which you intend staying ahead. Use our Business PowerPoint Templates because, you know what it takes to keep it fit and healthy. Use our Process and Flows PowerPoint Templates because, Weak Links & Chains: - Chain reactions and the element of teamwork add value to your efforts. Use our Arrows PowerPoint Templates because, coincidentally it always points to the top. Use these PowerPoint slides for presentations relating to 3d, abstract, around, arrows, blue, border, business, center, circle, circular, concept, connections, copy, curve, cycle, directions, distribution, illustration, management, middle, objects, pieces, plan, pointing, process, recycle, rounded, shadows, space, system. 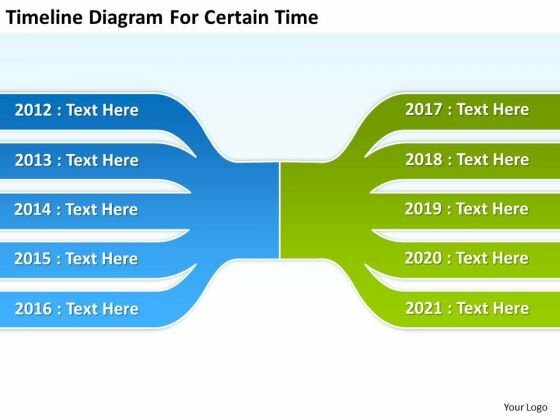 The prominent colors used in the PowerPoint template are Gray, Green, and White Accentuate the beauty of your thoughts with our 3d Curved Arrows Linearly Placed Creating Flowcharts Visio PowerPoint Slides. They will prove an apt adornment. Grab this opportunity to present with our 3d Curved Arrows Linearly Placed Creating Flowcharts Visio PowerPoint Slides. Try us out and see what a difference our templates make. We present our 3d horizontal demonstration using arrows 8 stages business plan flow chart PowerPoint Slides. Use our Marketing PowerPoint Templates because, you have a great plan to put the pieces together, getting all the various contributors to gel for a successful completion. Use our Shapes PowerPoint Templates because, Use our to enthuse your colleagues. Use our Business PowerPoint Templates because; Draw on its universal impact to highlight the similarities with your organizational structure and plans. Use our Process and Flows PowerPoint Templates because, and watch them strengthen your companys sinews. Use our Arrows PowerPoint Templates because, the pyramid is a symbol of the desire to reach the top in a steady manner. Use these PowerPoint slides for presentations relating to 3d, abstract, around, arrows, blue, border, business, center, circle, circular, concept, connections, copy, curve, cycle, directions, distribution, illustration, management, middle, objects, pieces, plan, pointing, process, recycle, rounded, shadows, space, system. The prominent colors used in the PowerPoint template are Blue navy, Black, Gray Mend fences with our 3d Horizontal Demonstration Using Arrows 8 Stages Business Plan Flow Chart PowerPoint Slides. You will be at the top of your game. Assist the audience to comprehend with our 3d Horizontal Demonstration Using Arrows 8 Stages Business Plan Flow Chart PowerPoint Slides. They will always be in your debt. We present our 3d horizontal demonstration using arrows 8 stages free schematic PowerPoint Slides. Use our Marketing PowerPoint Templates because, Honesty is the best policy has an ardent follower in you. Use our Shapes PowerPoint Templates because, If making a mark is your obsession, Use our Business PowerPoint Templates because, Marketing Strategy Business Template:- Maximizing sales of your product is the intended destination. Use our Process and Flows PowerPoint Templates because, are the stepping stones of our journey till date. Use our Arrows PowerPoint Templates because, There are a bucketful of brilliant ideas swirling around within your group. Use these PowerPoint slides for presentations relating to 3d, abstract, around, arrows, blue, border, business, center, circle, circular, concept, connections, copy, curve, cycle, directions, distribution, illustration, management, middle, objects, pieces, plan, pointing, process, recycle, rounded, shadows, space, system. The prominent colors used in the PowerPoint template are Blue, Gray, and Black Run the show with our 3d Horizontal Demonstration Using Arrows 8 Stages Free Schematic PowerPoint Slides. You will come out on top. Our 3d Horizontal Demonstration Using Arrows 8 Stages Free Schematic PowerPoint Slides disprove many a fallacy. They never fail to discern the truth. 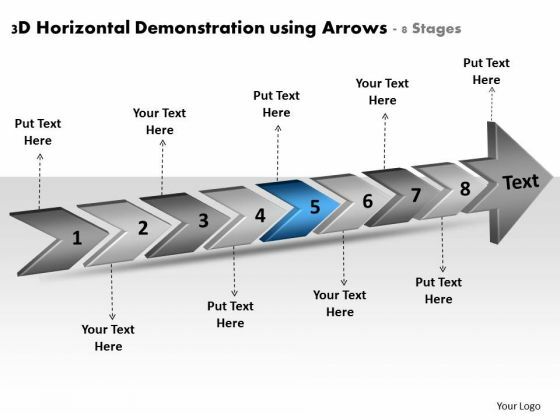 We present our 3d horizontal demonstration using arrows 8 stages manufacturing process flow chart PowerPoint Slides. Use our Marketing PowerPoint Templates because, your foot is on the pedal and your company is purring along smoothly. Use our Shapes PowerPoint Templates because, the alphabetical order is a time honored concept. Use our Business PowerPoint Templates because, Marketing Strategy Business Template: - Maximizing sales of your product is the intended destination. Use our Process and Flows PowerPoint Templates because, the structure of our templates allows you to effectively highlight the key issues concerning the growth of your business. Use our Arrows PowerPoint Templates because; demonstrate how they contribute to the larger melting pot. Use these PowerPoint slides for presentations relating to 3d, abstract, around, arrows, blue, border, business, center, circle, circular, concept, connections, copy, curve, cycle, directions, distribution, illustration, management, middle, objects, pieces, plan, pointing, process, recycle, rounded, shadows, space, system. The prominent colors used in the PowerPoint template are Blue, Gray, and Black Our 3d Horizontal Demonstration Using Arrows 8 Stages Manufacturing Process Flow Chart PowerPoint Slides define the standards. Like you they excel at what they do. Convincing an audience is no mean feat. 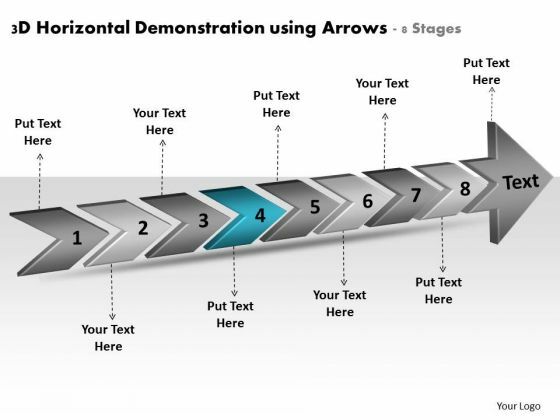 Do it with ease with our 3d Horizontal Demonstration Using Arrows 8 Stages Manufacturing Process Flow Chart PowerPoint Slides. We present our 3d horizontal demonstration using arrows 8 stages planning flow chart PowerPoint templates. Use our Marketing PowerPoint Templates because, to achieve sure shot success they need to come together at the right time, place and manner. Use our Shapes PowerPoint Templates because, the mind is always whirring with new ideas. Use our Business PowerPoint Templates because; educate your team and the attention you have paid. Use our Process and Flows PowerPoint Templates because, an occasion for gifting and giving. Use our Arrows PowerPoint Templates because, Now use this slide to bullet point your views. Use these PowerPoint slides for presentations relating to 3d, abstract, around, arrows, blue, border, business, center, circle, circular, concept, connections, copy, curve, cycle, directions, distribution, illustration, management, middle, objects, pieces, plan, pointing, process, recycle, rounded, shadows, space, system. The prominent colors used in the PowerPoint template are Blue navy, Black, Gray Exhibit high fibre with our 3d Horizontal Demonstration Using Arrows 8 Stages Planning Flow Chart PowerPoint Templates. They display your fearless character. 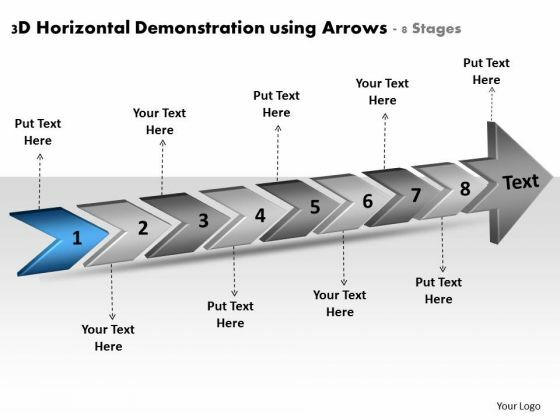 Dispatch your thoughts on our 3d Horizontal Demonstration Using Arrows 8 Stages Planning Flow Chart PowerPoint Templates. They will take them the farthest possible. We present our 3d horizontal demonstration using arrows 8 stages Slides flow charts PowerPoint. Use our Marketing PowerPoint Templates because, they pinpoint the core values of your organization. Use our Shapes PowerPoint Templates because, Spread the light of knowledge around you, clear the doubts and enlighten the questioning minds with your brilliance and ability. Use our Business PowerPoint Templates because, Marketing Strategy Business Template: - Maximizing sales of your product is the intended destination. Use our Process and Flows PowerPoint Templates because, you have analyzed the illness and know the need. Use our Arrows PowerPoint Templates because; Reaffirm to your team your faith in maintaining the highest ethical standards. Use these PowerPoint slides for presentations relating to 3d, abstract, around, arrows, blue, border, business, center, circle, circular, concept, connections, copy, curve, cycle, directions, distribution, illustration, management, middle, objects, pieces, plan, pointing, process, recycle, rounded, shadows, space, system. The prominent colors used in the PowerPoint template are Blue navy, Black, Gray Get them all gung-ho with our 3d Horizontal Demonstration Using Arrows 8 Stages Slides Flow Charts PowerPoint. Crank up their enthusiasm with with your words. Your audience will love what they are looking at. 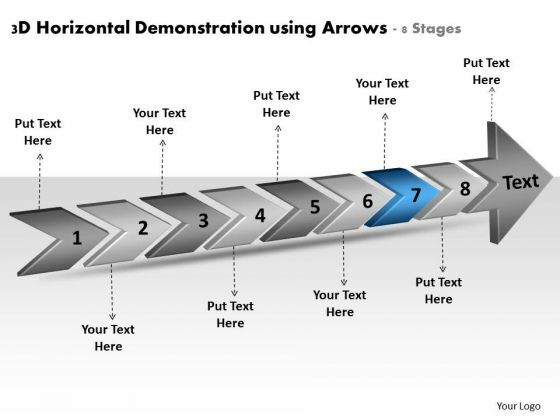 Impress them with our 3d Horizontal Demonstration Using Arrows 8 Stages Slides Flow Charts PowerPoint. You will be at the top of your game. We present our 3d horizontal demonstration using arrows 8 stages system process flow chart PowerPoint templates. Use our Marketing PowerPoint Templates because, Harness these opportunities, celebrate your performance till date and focus on greater growth and expansion in coming years. Use our Shapes PowerPoint Templates because, unravel the process layer by layer and expose their relevance to the core issue. Use our Business PowerPoint Templates because, Marketing Strategy Business Template:- Maximizing sales of your product is the intended destination. Use our Process and Flows PowerPoint Templates because, Colors generate instant reactions in our brains. Use our Arrows PowerPoint Templates because, you have the process in your head, our template design showing will illuminate your thoughts. Use these PowerPoint slides for presentations relating to 3d, abstract, around, arrows, blue, border, business, center, circle, circular, concept, connections, copy, curve, cycle, directions, distribution, illustration, management, middle, objects, pieces, plan, pointing, process, recycle, rounded, shadows, space, system. The prominent colors used in the PowerPoint template are Blue navy, Black, Gray Get the largest value at the lowest price with our 3d Horizontal Demonstration Using Arrows 8 Stages System Process Flow Chart PowerPoint Templates. Dont waste time struggling with PowerPoint. Let us do it for you. Bonds created with our 3d Horizontal Demonstration Using Arrows 8 Stages System Process Flow Chart PowerPoint Templates will never break. They ensure alliances endure. We present our horizontal representation arrows 10 steps business free flow charts PowerPoint templates. Use our Marketing PowerPoint Templates because; Show them how to churn out fresh ideas. Use our Business PowerPoint Templates because, the color coding of our templates are specifically designed to highlight you points. Use our Shapes PowerPoint Templates because, to strive to give true form to your great dream. Use our Arrows PowerPoint Templates because, Like your thoughts arrows are inherently precise and true. Use our Process and Flows PowerPoint Templates because; Use them to help you organize the logic of your views. Use these PowerPoint slides for presentations relating to 3d ,abstract, around, arrows, business, center, circle, circular, concept, connections, curve, cycle, directions, distribution, illustration, management, middle, objects, plan, process, recycle, rounded, shadows, space, system. The prominent colors used in the PowerPoint template are Purple, Gray, and White With our Horizontal Representation Arrows 10 Steps Business Free Flow Charts PowerPoint Templates you won't be ambivalent. Decide on a definite direction to follow. Alert your team to possibilities with our Horizontal Representation Arrows 10 Steps Business Free Flow Charts PowerPoint Templates. You will come out on top. 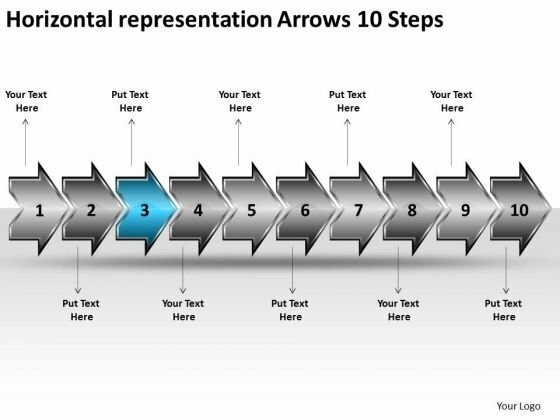 We present our horizontal representation arrows 10 steps business tech support PowerPoint Slides. Use our Success PowerPoint Templates because, There are a bucketful of brilliant ideas swirling around within your group. 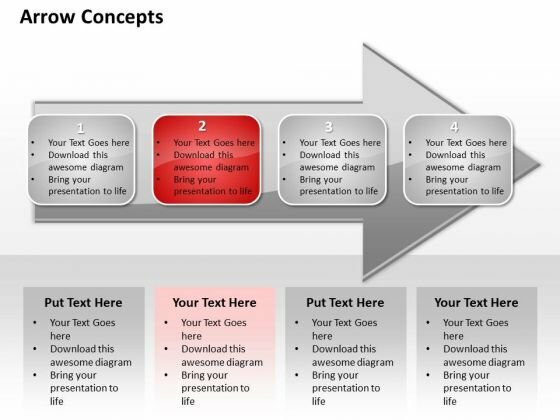 Use our Arrows PowerPoint Templates because, they highlight the depth of your thought process. Use our Shapes PowerPoint Templates because, you have the basic goal in mind. Use our Arrows PowerPoint Templates because, you have it all down to a nicety, slice by slice, layer by layer. Use our Process and Flows PowerPoint Templates because, this template with an image of helps you chart the course of your presentation. Use these PowerPoint slides for presentations relating to 3d ,abstract, around, arrows, business, center, circle, circular, concept, connections, curve, cycle, directions, distribution, illustration, management, middle, objects, plan, process, recycle, rounded, shadows, space, system. The prominent colors used in the PowerPoint template are Gray, White, and Blue Let your thoughts evolve. Our Horizontal Representation Arrows 10 Steps Business Tech Support PowerPoint Slides will nurture their growth. Deal a decisive blow with our Horizontal Representation Arrows 10 Steps Business Tech Support PowerPoint Slides. Get clearlyahead in a critical event. We present our horizontal representation arrows 10 steps business vision office stencils PowerPoint Slides. Use our Success PowerPoint Templates because, Inspired by the indelible Olympic logo this graphic exemplifies the benefits of teamwork. Use our Arrows PowerPoint Templates because, the foundation stones of many a life. Use our Business PowerPoint Templates because, you have what it takes to grow. Use our Shapes PowerPoint Templates because, you understand the ailment and how to fight it. Use our Process and Flows PowerPoint Templates because; See the smiles of happiness spread as they realize the value of your words. Use these PowerPoint slides for presentations relating to 3d ,abstract, around, arrows, business, center, circle, circular, concept, connections, curve, cycle, directions, distribution, illustration, management, middle, objects, plan, process, recycle, rounded, shadows, space, system. The prominent colors used in the PowerPoint template are Black, Purple, and Gray Our Horizontal Representation Arrows 10 Steps Business Vision Office Stencils PowerPoint Slides will be a feather in your cap. They will add to your enduring charm. 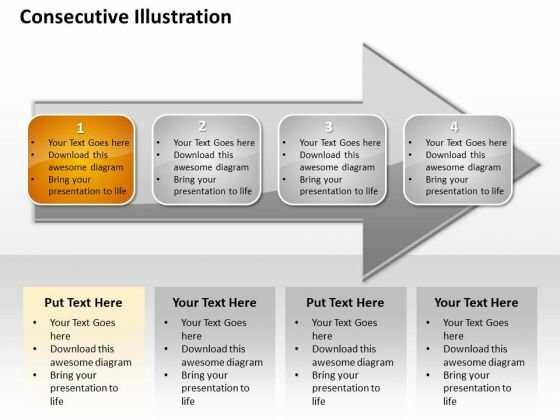 Destroy failure with our Horizontal Representation Arrows 10 Steps Business Vision Office Stencils PowerPoint Slides. You will come out on top. We present our horizontal representation arrows 10 steps documentation flow chart PowerPoint templates. Use our Design PowerPoint Templates because; represent the progress in our lives. Use our Arrows PowerPoint Templates because; now funnel your marketing strategies down the cone, stage by stage, refining as you go along. Use our Process and Flows PowerPoint Templates because, But you have an idea of which you are sure. Use our Shapes PowerPoint Templates because; amplify on this basic corporate concept and forefront the benefits of overlapping processes to arrive at common goals. Use our Business PowerPoint Templates because, Marketing Strategy Business Template:- Maximizing sales of your product is the intended destination. Use these PowerPoint slides for presentations relating to 3d ,abstract, around, arrows, business, center, circle, circular, concept, connections, curve, cycle, directions, distribution, illustration, management, middle, objects, plan, process, recycle, rounded, shadows, space, system. The prominent colors used in the PowerPoint template are Purple, White, and Gray Display your enterprise with our Horizontal Representation Arrows 10 Steps Documentation Flow Chart PowerPoint Templates. Go boldly forth with your plans. Acquire the aura of a champion. Enhance your charisma with our Horizontal Representation Arrows 10 Steps Documentation Flow Chart PowerPoint Templates. We present our horizontal representation arrows 10 steps free flow charts PowerPoint templates. Use our Design PowerPoint Templates because; Highlight any anticipated problems, shortfalls or weak areas. 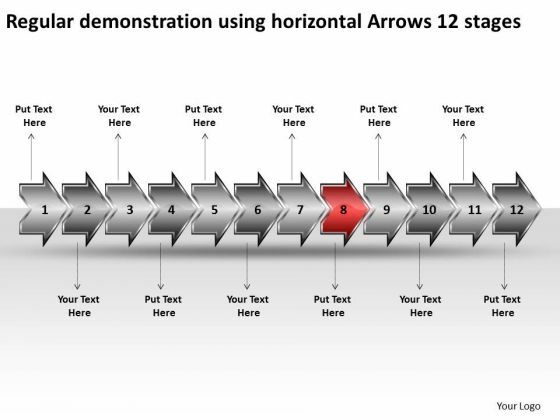 Use our Arrows PowerPoint Templates because; Show them how to persistently hit bulls eye. Use our Process and Flows PowerPoint Templates because, Colors generate instant reactions in our brains. Use our Shapes PowerPoint Templates because, they enhance the essence of your viable ideas. Use our Business PowerPoint Templates because, you have your finger on the pulse of your business and sense the need to re-align a bit. Use these PowerPoint slides for presentations relating to 3d ,abstract, around, arrows, business, center, circle, circular, concept, connections, curve, cycle, directions, distribution, illustration, management, middle, objects, plan, process, recycle, rounded, shadows, space, system. The prominent colors used in the PowerPoint template are Blue, Black, and Gray Brilliant backdrops are the essence of our Horizontal Representation Arrows 10 Steps Free Flow Charts PowerPoint Templates. Guaranteed to impress your audience. Expand your horizons with our Horizontal Representation Arrows 10 Steps Free Flow Charts PowerPoint Templates. Download without worries with our money back guaranteee. 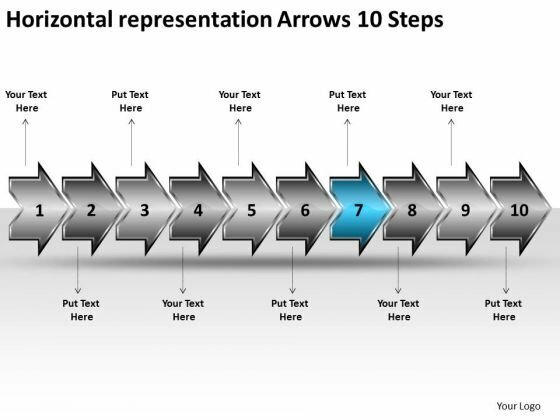 We present our horizontal representation arrows 10 steps free flowchart Slides PowerPoint templates. Use our Design PowerPoint Templates because; illustrate your plans on using the many social media modes available to inform society at large of the benefits of your product. Use our Arrows PowerPoint Templates because, are the triggers of our growth. Use our Process and Flows PowerPoint Templates because, Business Template: - There is a vision, a need you can meet. Use our Shapes PowerPoint Templates because, which of late have been proving to be a hassle. Use our Business PowerPoint Templates because, Grab the attention of your team with this eye catching template signifying .Use these PowerPoint slides for presentations relating to 3d ,abstract, around, arrows, business, center, circle, circular, concept, connections, curve, cycle, directions, distribution, illustration, management, middle, objects, plan, process, recycle, rounded, shadows, space, system. The prominent colors used in the PowerPoint template are Black, Gray, and Blue Stimulate peoples brain with our Horizontal Representation Arrows 10 Steps Free Flowchart Slides PowerPoint Templates. Just download, type and present. Spice up the discourse with our Horizontal Representation Arrows 10 Steps Free Flowchart Slides PowerPoint Templates. Strengthen the flavour of your thoughts. We present our horizontal representation arrows 10 steps network mapping PowerPoint templates. Use our Design PowerPoint Templates because, we provide the means to project your views. Use our Arrows PowerPoint Templates because, Bullet-point your thoughts and ideas to profitably accomplish every step of every stage along the way. Use our Process and Flows PowerPoint Templates because, However you are aware of some pitfalls ahead where you Ned to be cautious not to overran and avoid a stall. Use our Shapes PowerPoint Templates because, it is in your DNA to analyses possible causes to the minutest detail. Use our Business PowerPoint Templates because; amplify your views, ideas and thoughts from very basic aspects to the highly technical and complicated issues using this template as a tool. Use these PowerPoint slides for presentations relating to 3d ,abstract, around, arrows, business, center, circle, circular, concept, connections, curve, cycle, directions, distribution, illustration, management, middle, objects, plan, process, recycle, rounded, shadows, space, system. The prominent colors used in the PowerPoint template are White, Purple, and Gray Be a catalyst for change with our Horizontal Representation Arrows 10 Steps Network Mapping PowerPoint Templates. They will make you look good. Get accustomed to appreciation with our Horizontal Representation Arrows 10 Steps Network Mapping PowerPoint Templates. You will be getting a lot of it. We present our horizontal representation arrows 10 steps ppt manufacturing flow chart symbols PowerPoint templates. Use our Design PowerPoint Templates because; Help them develop their thoughts along the way. Use our Arrows PowerPoint Templates because, now fire the arrows to emblazon the desired path by which you will achieve anticipated results. Use our Process and Flows PowerPoint Templates because, our cleverly selected background hues are guaranteed to achieve this aim. Use our Shapes PowerPoint Templates because, determine your targets and sequence them as per your priorities. Use our Business PowerPoint Templates because, Marketing Strategy Business Template:- Maximizing sales of your product is the intended destination. Use these PowerPoint slides for presentations relating to 3d ,abstract, around, arrows, business, center, circle, circular, concept, connections, curve, cycle, directions, distribution, illustration, management, middle, objects, plan, process, recycle, rounded, shadows, space, system. The prominent colors used in the PowerPoint template are Blue, Gray, and White Failures are a stepping stone to success. Analyse likely causes with our Horizontal Representation Arrows 10 Steps Ppt Manufacturing Flow Chart Symbols PowerPoint Templates. With our Horizontal Representation Arrows 10 Steps Ppt Manufacturing Flow Chart Symbols PowerPoint Templates the goal is never far away. Your thoughts will always dribble through. We present our horizontal representation arrows 10 steps program flowchart PowerPoint Slides. Use our Success PowerPoint Templates because, Master them all and you have it made. Use our Arrows PowerPoint Templates because, Outline the path you have in mind in order to boost sales and stay ahead of the competition enhancing your corporate reputation as you go along the road to success. Use our Business PowerPoint Templates because; now use this slide to transmit this clarity of purpose onto the eager minds of your team. Use our Shapes PowerPoint Templates because, Master them all and you have it made. Use our Process and Flows PowerPoint Templates because, There are a bucketful of brilliant ideas swirling around within your group. Use these PowerPoint slides for presentations relating to 3d ,abstract, around, arrows, business, center, circle, circular, concept, connections, curve, cycle, directions, distribution, illustration, management, middle, objects, plan, process, recycle, rounded, shadows, space, system. The prominent colors used in the PowerPoint template are Purple, White, and Gray No need to dig deep for new ideas. 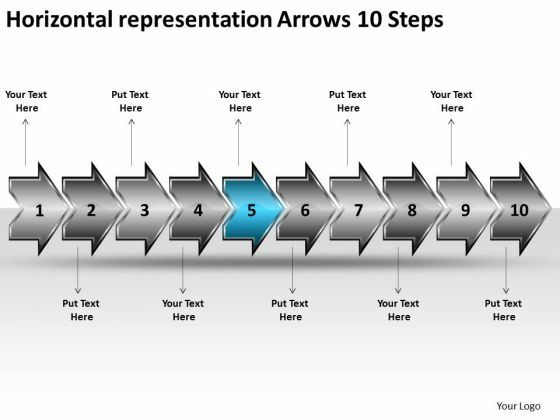 Our Horizontal Representation Arrows 10 Steps Program Flowchart PowerPoint Slides will ferret them out. Figure out the finances with our Horizontal Representation Arrows 10 Steps Program Flowchart PowerPoint Slides. They help you get the calculations correct. 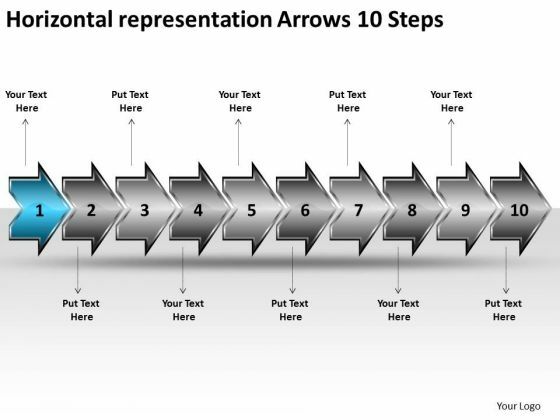 We present our horizontal representation arrows 10 steps vision office stencils PowerPoint Slides. Use our Success PowerPoint Templates because; illustrate your plans on using the many social media modes available to inform society at large of the benefits of your product. Use our Arrows PowerPoint Templates because; motivate your team to cross all barriers. Use our Business PowerPoint Templates because; anoint it with your really bright ideas. Use our Shapes PowerPoint Templates because, our cleverly selected background hues are guaranteed to achieved this aim. Use our Process and Flows PowerPoint Templates because, Honesty is the best policy has an ardent follower in you. Use these PowerPoint slides for presentations relating to 3d ,abstract, around, arrows, business, center, circle, circular, concept, connections, curve, cycle, directions, distribution, illustration, management, middle, objects, plan, process, recycle, rounded, shadows, space, system. The prominent colors used in the PowerPoint template are Gray, Blue, and White Present like a pro with our Horizontal Representation Arrows 10 Steps Vision Office Stencils PowerPoint Slides. You will come out on top. Our Horizontal Representation Arrows 10 Steps Vision Office Stencils PowerPoint Slides cater for different factions. They assist in finding common ground. We present our linear description arrow 7 stages electrical drawing symbols PowerPoint Slides. Use our Success PowerPoint Templates because; inform them of the various means they have to achieve them. Use our Arrows PowerPoint Templates because; Lead the way to spread good cheer to one and all. Use our Business PowerPoint Templates because, you as the Champion your team shall anoint. Use our Shapes PowerPoint Templates because, develop your marketing strategy and communicate your enthusiasm and motivation to raise the bar. Use our Process and Flows PowerPoint Templates because, Vision Ave Future St Template:- There was a vision of a desired destination and the best road to take to reach that goal. Use these PowerPoint slides for presentations relating to 3d, abstract, around, arrows, business, center, circle, circular, concept, connections, curve, cycle, directions, distribution, illustration, management, middle, objects, plan, process, recycle, rounded, shadows, space, system. The prominent colors used in the PowerPoint template are Blue, Gray, and White Confirm to them that you are the expert. Our Linear Description Arrow 7 Stages Electrical Drawing Symbols PowerPoint Slides will affirm your thoughts. Inform teams with our Linear Description Arrow 7 Stages Electrical Drawing Symbols PowerPoint Slides. Download without worries with our money back guaranteee. 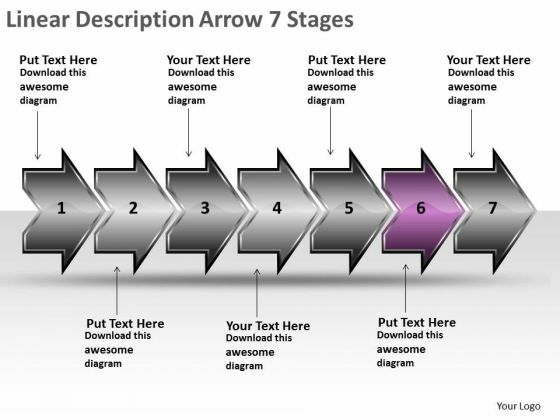 We present our linear description arrow 7 stages flow chart maker online PowerPoint templates. Use our Success PowerPoint Templates because, Timelines Template: - Getting it done may not be enough. Use our Arrows PowerPoint Templates because; Use them to your advantage to priorities your ideas. Use our Business PowerPoint Templates because; Churn the wheels of the brains of your colleagues. Use our Shapes PowerPoint Templates because, you have the people in place, selected the team leaders and all are raring to go. Use our Process and Flows PowerPoint Templates because, discuss each one and slowly but surely move up the pyramid narrowing down to the best and most success oriented project. Use these PowerPoint slides for presentations relating to 3d, abstract, around, arrows, business, center, circle, circular, concept, connections, curve, cycle, directions, distribution, illustration, management, middle, objects, plan, process, recycle, rounded, shadows, space, system. The prominent colors used in the PowerPoint template are Blue, Gray, and White Be a fighter with our Linear Description Arrow 7 Stages Flow Chart Maker Online PowerPoint Templates. You will come out on top. Your address will be the feature. Our Linear Description Arrow 7 Stages Flow Chart Maker Online PowerPoint Templates will ensure the cheers. 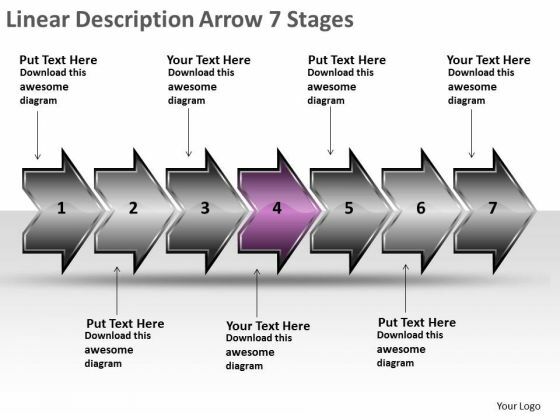 We present our linear description arrow 7 stages function flow chart PowerPoint templates. Use our Finance PowerPoint Templates because, Our PowerPoint templates designed for your ideas to sell. Use our Arrows PowerPoint Templates because; Reaffirm to your team your faith in maintaining the highest ethical standards. Use our Business PowerPoint Templates because, Marketing Strategy Business Template: - Maximizing sales of your product is the intended destination. Use our Shapes PowerPoint Templates because; Trigger their minds with your interesting ideas. Use our Process and Flows PowerPoint Templates because, you have the people in place, selected the team leaders and all are raring to go. Use these PowerPoint slides for presentations relating to 3d, abstract, around, arrows, business, center, circle, circular, concept, connections, curve, cycle, directions, distribution, illustration, management, middle, objects, plan, process, recycle, rounded, shadows, space, system. The prominent colors used in the PowerPoint template are Purple, White, and Gray Taste success with our Linear Description Arrow 7 Stages Function Flow Chart PowerPoint Templates. You will come out on top. Be a ninja with our Linear Description Arrow 7 Stages Function Flow Chart PowerPoint Templates. You will come out on top. We present our linear description arrow 7 stages ppt what is flow chart used for PowerPoint Slides. Use our Success PowerPoint Templates because; Use our template to illustrate what you say. Use our Arrows PowerPoint Templates because, determine your targets and sequence them as per your priorities. Use our Business PowerPoint Templates because, Gears interconnected: - The Gear Train is a basic element of living and daily business. Use our Shapes PowerPoint Templates because; explain the contribution of each of the elements and how they provide impetus to the next phase. Use our Process and Flows PowerPoint Templates because, A healthy is the essence of a sense of happiness. Use these PowerPoint slides for presentations relating to 3d, abstract, around, arrows, business, center, circle, circular, concept, connections, curve, cycle, directions, distribution, illustration, management, middle, objects, plan, process, recycle, rounded, shadows, space, system. The prominent colors used in the PowerPoint template are Purple, White, and Gray Our Linear Description Arrow 7 Stages Ppt What Is Flow Chart Used For PowerPoint Slides will fetch it for you. They will bring audience adulation to your doorstep. 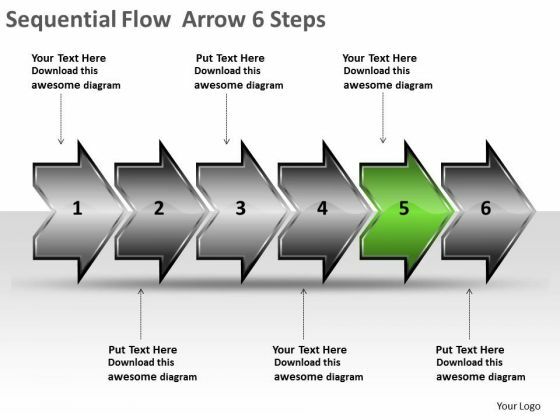 Our Linear Description Arrow 7 Stages Ppt What Is Flow Chart Used For PowerPoint Slides aredelightfully crafted. Designed to charm the biggest disbelievers.